Description: PETFAVORITES mylar balls cat toys are designed as cat exercise toy, interactive cat toys. 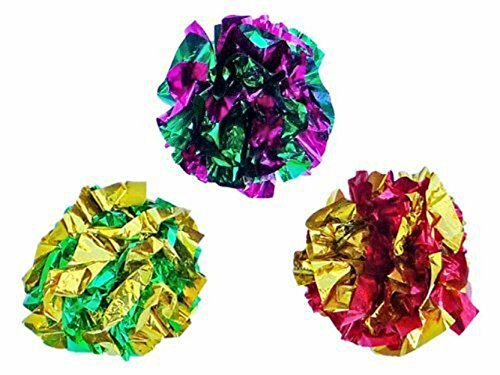 Your kitties will go nuts with the crinkle sound these paper ball cat toys make when pouncing on them or carrying them. 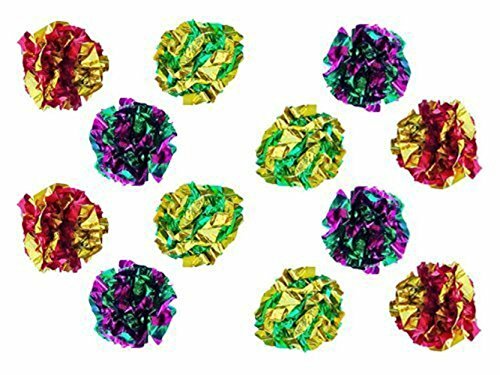 These balls are made of soft and lightweight mylar texture in right size for cats to grasp or carry, so you never need to worry about they will hurt your kittens even if they step on them with bare feet. 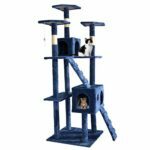 Bright metallic colors also stimulates cats to add excitement to playtime. 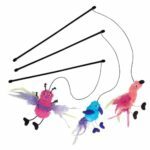 All above aslo make PETFAVORITES mylar ball cat toy as one kind of easy and perfect independent cat toy or self play cat toy. 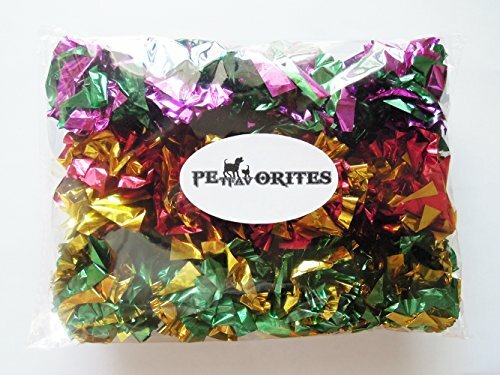 With more saving than other cat toys in pet stores, every cat will deserve PETFAVORITES mylar ball cat toy as a economy way to get daily entertainment and exercise, especially for fat cats. Tips: 1. Your kitties will lose them easily anywhere in your house and maybe you need to spend time to collect them, so the better choice is to buy more Pack with more saving. 2. Play away from kitty’s water bowl, because they could bleed the color when they get wet. 3. Warning:Please note the possibility of a cat ripping them assunder and eating them. The safest way is to supervise your cats when your cats play with these crinkle balls. Brand: Please note: PETFAVORITES is a registered trademark and is exclusively distributed by PetFavorites. We have never authorized any other seller to sell any items with the brand of PETFAVORITES. Other seller offerings are counterfeits, they will not be identical to what is advertised here. About us: PETFAVORITES is one popular US pet supply registered brand, providing pets’ favorite supplies and accessories with fashion elements and factory price for mass US pet lovers. Brand: PETFAVORITES. Three kinds of Packages available: 6 Pack, 12 Pack, 24 Pack.